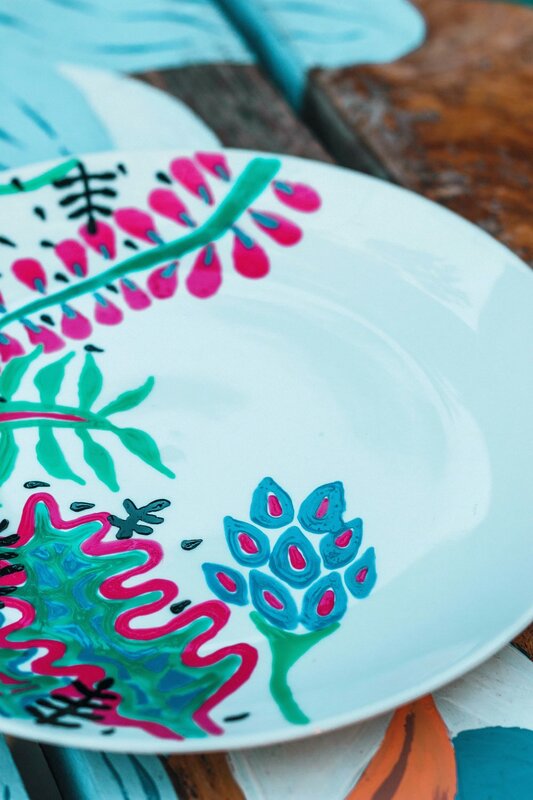 Learn how to create a tropical illustration and apply it onto a beautiful porcelain plate with a local artist. 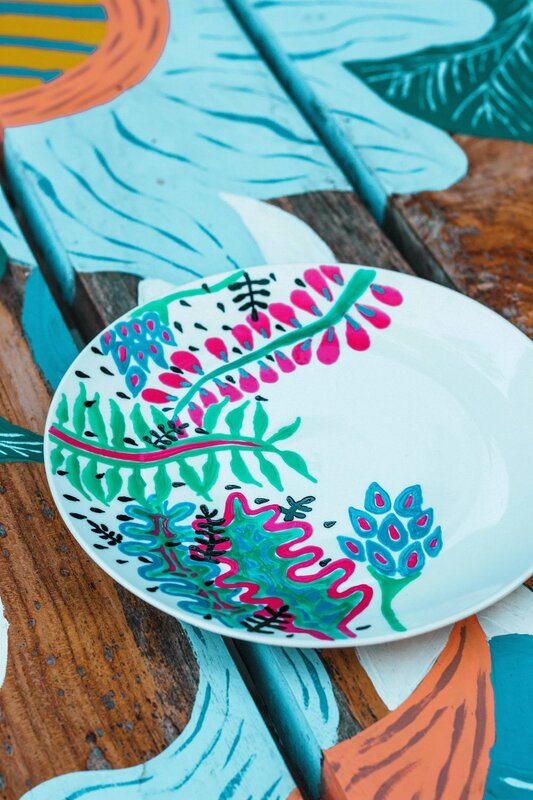 Mia from @ev.homeart (https://www.instagram.com/ev.homeart/) will teach you how to compose an illustration and paint it using enamel paint onto a ceramic plate by brush. The enamel paint used is food grade, meaning non-toxic, so it is safe to eat from your plate after it has been burned. Once you’ve finished drawing on the plate, Mia will explain to you how you can burn your artwork in your own kitchen oven at home by yourself (or you can use the oven at the workshop space). You will be given every tool & art material needed for this workshop, just bring your own ideas, feel free to bring inspiration images on your phone or printouts. A good source of inspiration we love is Pinterest!